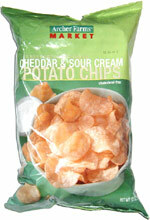 Taste test: These chips are kettle-style chips that are heavy on the cheddar flavor. I think the more cheddar that you put on a cheddar & sour cream chip, the better. So these are pretty good. 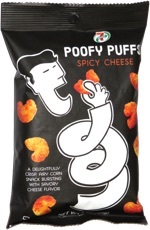 If you can handle the extra oil on the kettle chip, then these make a good alternative to "non-kettle" cheddar & sour cream chips. Smell test: These smell like the inside of a Chinese restaurant. I don't know why, they just do.